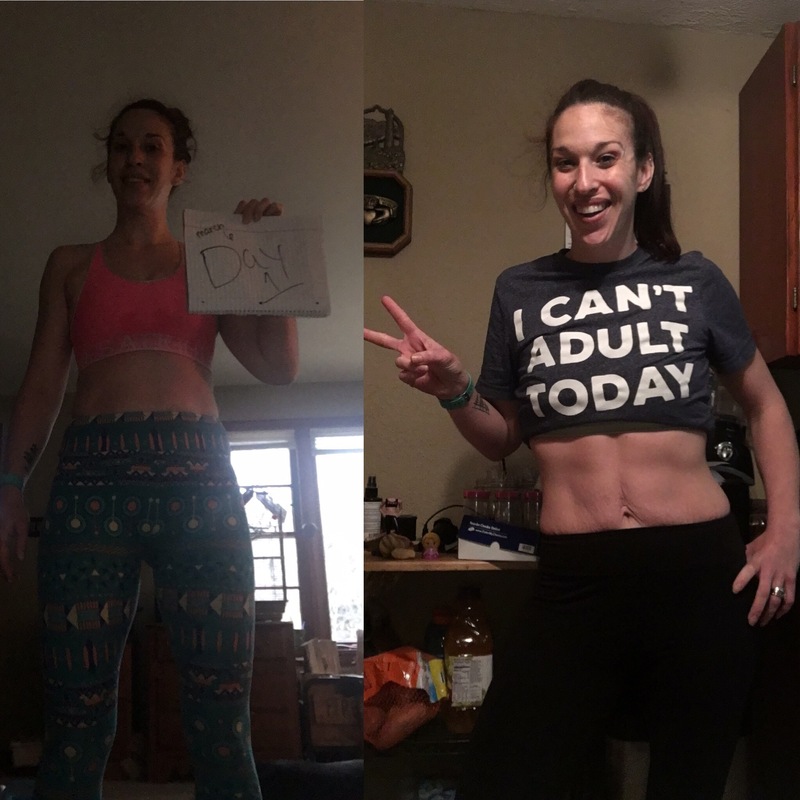 The 21 Day Fix Extreme is one of my absolute favorite workouts. Its tough but they last 30 min and it is the one my body reacts to the best. Meaning I see results the fastest with this. I have done this one 3-4 times. But I have never done the full Count Down to Competition meal plan before. Throwing in a day or 2 of this is usually what I do. In fact I have only actually followed this full meal plan once. Generally I eat pretty good. But I have my moments. I freaking love food. 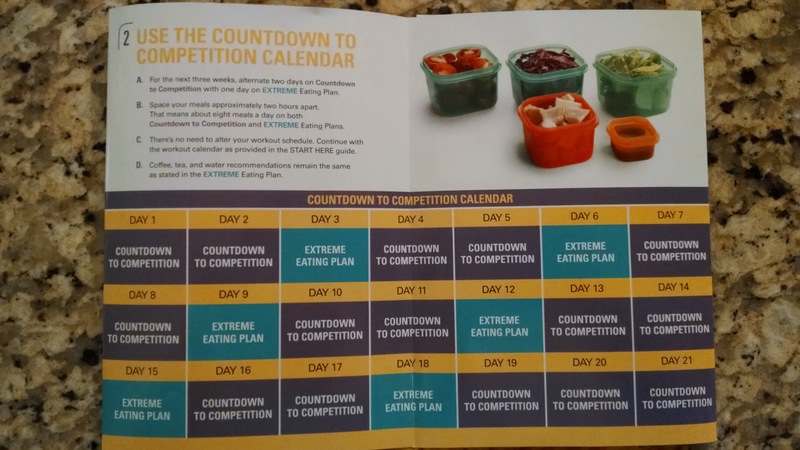 The 21 Day fix or portion fix meal plan is based on weight. You take your weight multiple by caloric baseline. Add your caloric needs. And subtract you caloric deficit depending on if you want to lose or maintain. If I am speaking a foreign language this is all mentioned in the meal plan book of The 21 Day Fix Extreme! 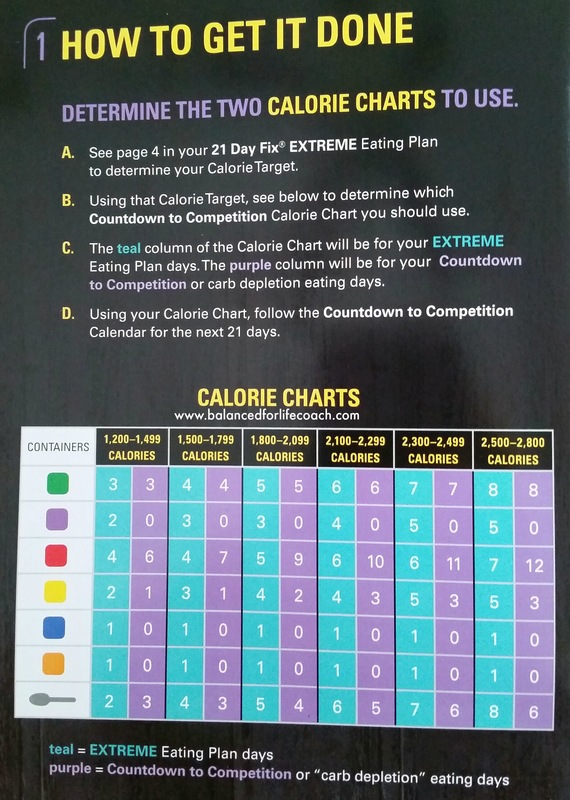 From that you get a Calorie Bracket that gives you a number of containers that you can have each day. I am in the 1500-1799 bracket. The colors have different nutritional meaning. The Countdown to competition plan is limited carbs, veggies, high protein and some healthy oils. The schedule looks like this 2 days on one day off. I allowed Saturday to be my cheat day. And in one week I lost 4.8 lbs. not sure on the inches I could not find my tape measure when I was starting. Here is a progress pic so far. Currently on day 10. Am going strong. Finding that planning out the day more helps so much! And I am pretty excited to see what 21 days on this meal plan is going to do for me. Next Fitness accountability group starts March 27th. You do not Have to do this alone!